At ST RUBBER the Easter bunny does not bring eggs – but a bag full of gifts! 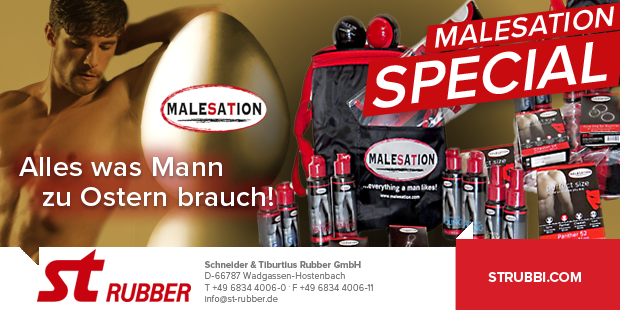 Buy the popular MALESATION products of your choice for at least 250, – EUR (net after discount, only available items) and the Easter bunny adds a bulging MALESATION cooler bag (see picture) for free. If you have further questions, please do not hesitate to contact ST RUBBER’s customer service on +49 (0)6834 4006-0. It is also worth taking a look at the online shop www.strubbi.com.